It’s impossible to deny the explosive growth of battle royale games over the past few years. Capturing the hearts of gamers worldwide, the frantic action of last-man-standing mayhem has dominated the landscape for several months. 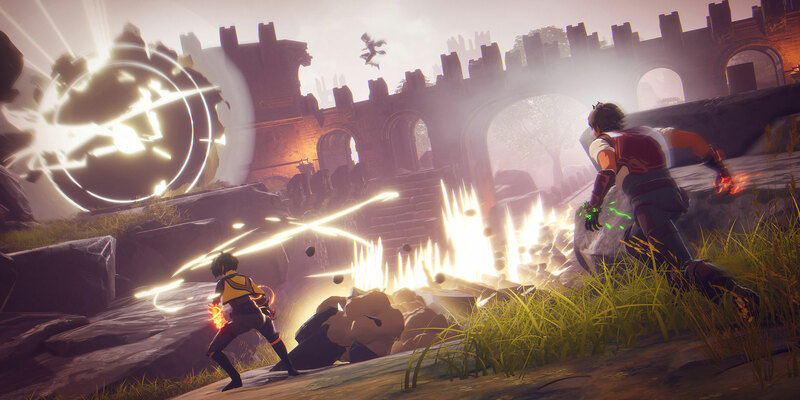 While we’ve seen many games join the excitement over the past year or so, not many have sought to truly break the mold, but Spellbreak is aiming to do just that… with magic. 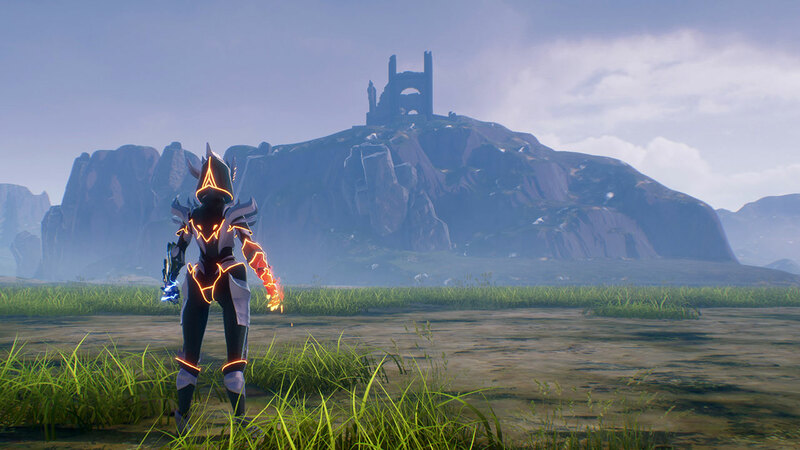 Currently in development by an experienced team from Proletariat Inc, Spellbreak is a visually stunning escape into a world filled with battlemages, spells, and RPG-style gameplay. Brought to life with Unreal Engine 4, its cel-shaded aesthetic is already gorgeous even in its early pre-alpha state. Following along on the studio’s mission to put “Players First,” Proletariat shakes things up by flying in the face of the usual battle royale conventions and adding a twist that no other battle royale game has done yet. Blending together RPG and roguelike mechanics, Proletariat is working towards an experience that balances skill, strategy, and depth that is fun for all comers. 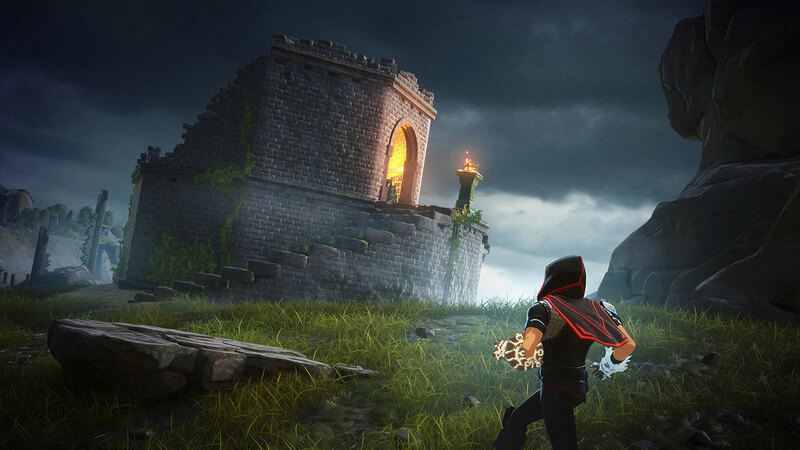 We took the time to chat with three of the fine folks at this motivated studio as we discussed their desire to do something different, their mission to put players at the forefront of everything they do, and how they’ve leveraged Unreal Engine 4 to create a unique battle royale experience they can be truly proud of. Design Director/Co-founder Jesse Kurlancheek: We started Proletariat a bit more than six years ago after our previous company unceremoniously shut down their Boston office. The founders had often talked about starting a company over the 15 years that we’ve known each other and worked together and there wasn’t going to be a better time! CTO/Co-founder Dan Ogles: We’d all previously worked on games that were meant to be played with your friends as social experiences (including MMOs, Rock Band/Guitar Hero, and local co-op games) and we saw how much value there was in building communities around the game, not just for the players, but for the game and the company as a whole, and we wanted to create around that core idea. Art Director/Co-founder Damon Iannuzzelli: Putting players first isn’t just a motto either, we put it into practice daily with how we interact with them. We’re often just hanging out in Discord, answering questions on Twitch streams, or posting (very rough) works in progress. We’re trying to be as transparent with our community as possible in ways that previous companies would never allow. I think it fosters a sense of trust from the players and at the same time keeps us accountable to them. 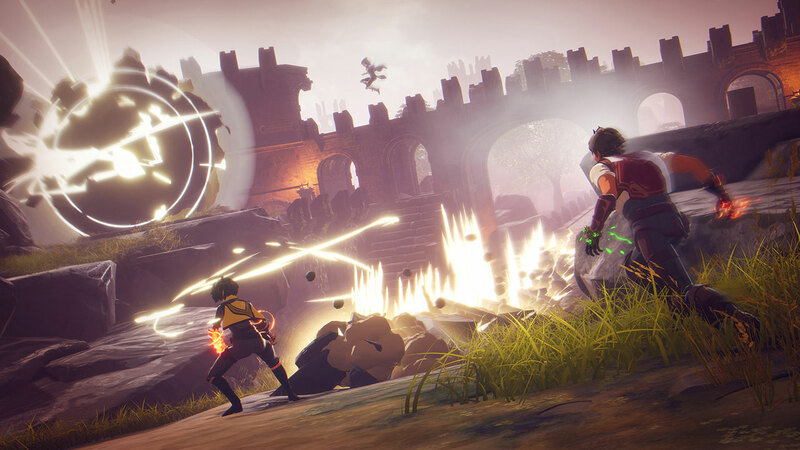 Spellbreak isn't the team's first venture into the PC gaming sphere, but is most undoubtedly its most ambitious! Tell us what Spellbreak is all about! Kurlancheek: It definitely is! 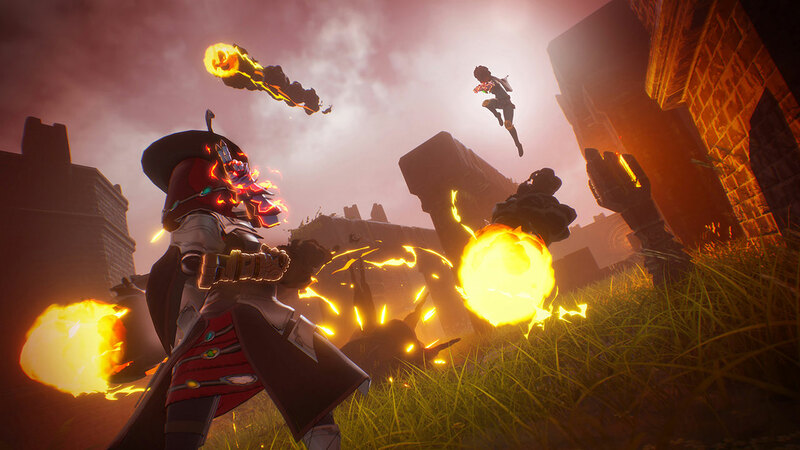 Spellbreak is a face-paced game where players assume the role of battlemages who wield a wide variety of spells, sorceries, and magic items. They face off against other players in a ruined fantasy landscape, level up, and learn new skills and gather artifacts to become even more powerful over the course of a match. Players can use runes to fly, blink, become invisible, and more to travel quickly and fluidly to gain the upper hand in combat. Spells and sorceries can combine with one another in both helpful and harmful ways, such as setting a poison cloud alight with a fireball or shattering an incoming fireball with a boulder of your own. Ogles: We’ve been hard at work nailing not only the visceral feel of magic combat while keeping the skill cap high, but still being accessible to all sorts of gamers all while leaving players with plenty of meaty decisions to chew on both in and out of the game. Considering the history of the team, there must be a lot of people with Unreal Engine 4 experience. How did having that background help with the development of Spellbreak? Ogles: For most of the team, our first experience with Unreal Engine 4 was with our prior game, Streamline. 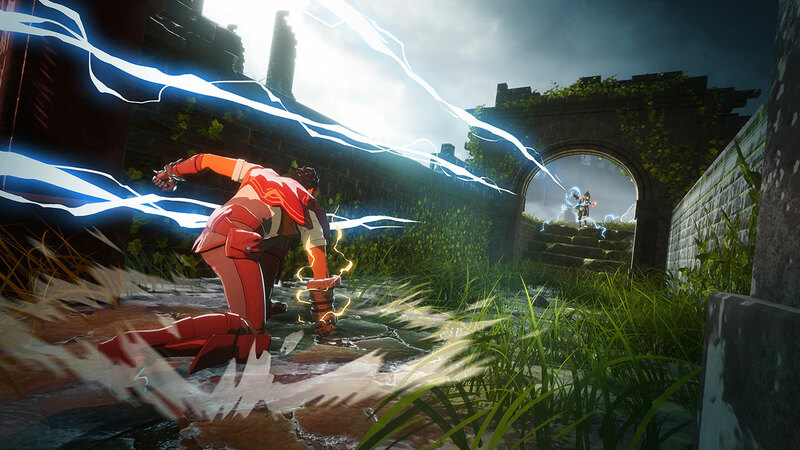 When starting Spellbreak, we already had in-depth experience with Unreal Engine’s multiplayer systems, art pipeline, and rendering. This allowed us to get the game to a playable state very, very quickly and iterate on the design and mechanics. With most of the initial team having prior Unreal experience, combined with the great documentation and training programs out there for Unreal, we have been able to ramp up new artists and engineers very quickly. The battle royale genre feels like it's gotten very crowded in a relatively short amount of time. 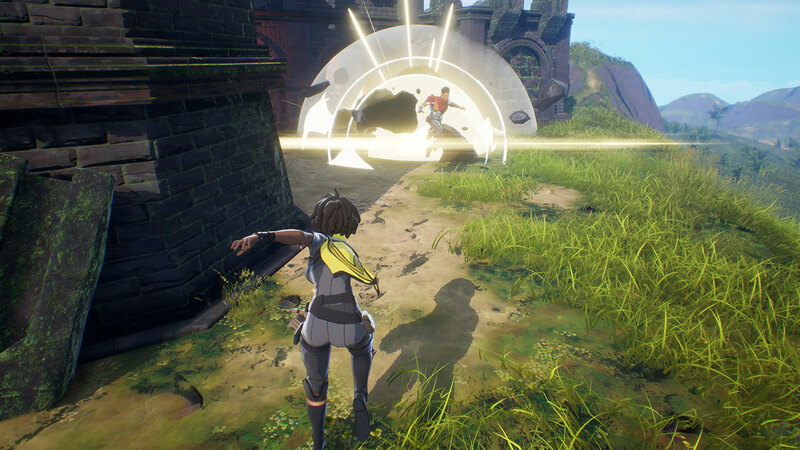 How do you think Spellbreak stands out from the crowd? Can you tell us more about how it crosses into other genres like RPGs and roguelikes? Kurlancheek: Before I get to the bulk of your question, I think it’s worth mentioning that we don’t really think of battle royale as a “genre” per se, but rather as a game mode and even within the confines of that mode, game developers are really only starting to scratch the surface and it’s very exciting to see what’s being done right now. That said, I think the biggest way Spellbreak differentiates itself from other games is the theme and moment-to-moment gameplay. Being a battlemage who can quickly and effortlessly traverse the large landscape and ruined castles while casting powerful spells (that aren’t just “magic guns”) through a dynamic and fast-paced combat system is a completely different experience than what the market has available right now. When you combine this with our striking art style, Spellbreak makes a great initial impression to set itself apart. On the RPG side, the team here has always loved RPGs and MOBAs and how they let you take a character from a weakling to a powerhouse over the course of the game. We wanted to see what happened if we condensed that (often long) experience down into a 15-minute bite-sized match. By leaning into the classic RPG idea of classes, players can come in, read a one-line description or look at a set of class skills and immediately have an idea of how that class might play. On top of that, we allow players to choose two classes to combine both of their skills and spells for crazy combinations and emergent gameplay unlike most RPGs. As for the roguelike elements, we decided early on that it was more fun to be dealt a hand and have to adapt to the changing situations in each match. While you might enjoy playing a Pyromancer, if you find a Legendary Toxic Gauntlet at the start of a match, maybe it’s worth mixing up your plans this time. By forcing players to explore the variety of skills, they often find things that they wouldn’t have otherwise and this leads to some great in-game and post-game discussion about the highs and lows. Some games you can end up with the perfect build and equipment and become a god and it just feels so good when everything falls into place like that. That said, we’re definitely looking at some limited-time and competitive modes, which tamp down the random element and let players be in more/complete control of how their characters develop. Have there been any specific instances where Unreal Engine has made a traditionally difficult process a little bit easier to handle? Ogles: Unreal Engine’s multiplayer and replication technology is top-notch. It is more robust and easier to use than any other engine we’ve worked with in the past. Newer features like the Replication Graph make it even easier to support large worlds with many players on a single server while maintaining high server framerates and quick response times. Epic’s long history of running popular multiplayer games is clear, and it’s great to be able to leverage that. Another engine feature we rely on heavily is the Hierarchical Level of Detail (HLOD) system. Being able to group together objects into single meshes, and automatically make progressively lower-detail meshes for far view distance, is essential to making a large open-world game run at high framerates. Without this system, the large and intricate architecture in Spellbreak wouldn’t be possible. With a range of tools in its suite, Unreal Engine 4 has a lot to offer developers. If you had to pick your single favorite tool, what would it be? Iannuzzelli: Hard to pick just one tool, since Unreal Engine is a giant package of integrated tools that are all connected to one another. Can I pick two? The Material Editor is so powerful and flexible for creating materials as simple and as complex as an artist can imagine. The node-based approach is intuitive for visual thinkers and gives artists very accurate “what-you-see-is-what-you-get” results. Spellbreak has a ton of very custom materials for the visual style, and I’m always impressed at how easy it is to keep pushing them further with a little trial/error in the Material Editor. I’d also like to mention the LOD tools. It seems simple, but I can recall creating lots of manual mesh LODs in the past and having a simple interface for reduction targets and screen size LOD switching makes me very happy. Spellbreak's animation and art aesthetic is absolutely stunning! Did the team know the look they were going for right from the start? How, if at all, has it changed over the course of development? Iannuzzelli: We did not start this way! Early in development, the game was actually themed differently and we intended to create something more realistic looking. About eight weeks prior to GDC 2018, we completely rebooted the gameplay and decided that the supporting aesthetic needed to be much more unique. I’ve always wanted to make a game that felt a little bit like Japanese animation from the 80s/90s, especially as it pertains to the punchiness of the hand-drawn visual FX. The art team built a visual target demo that really sold the look of an “anime-ish” (or, “faux-nime?”) adventure set in an ominous world. We were very passionate about the direction and felt that it would also resonate strongly with a cross-section of game/animation fans. Drawing from the team's experience, what advice would you give someone looking to jump into indie development in 2019? What advice would you give to someone learning Unreal Engine 4 for the first time? Iannuzzelli: Creatively, the biggest challenge is to craft something unique and differentiated while finding an audience. Communicate with your audience early and often. Abide your convictions but also humbly listen to your players. They have valuable feedback and insight that will help you make your game better. Ogles: Building your game has never been easier! The engine/tools are free, the prototyping content is cheap or free, and there are so many people using Unreal Engine now that a quick Google search will answer most questions and roadblocks. It really is amazing how democratized game development has become. Once you achieve 1.0 and full release, what plans do you have to support Spellbreak post-release? Kurlancheek: A large portion of the studio’s DNA comes from running live MMOs, so a 1.0/full release is only the beginning for Spellbreak! Speaking for myself, the most exciting time working on a game is after it’s live and we get to see what players love and what they’re less fond of, and to work with them to improve the game and unveil new challenges for them. Ogles: More concretely, we’ve set up a very extensible system so adding content like new spells and sorceries, more classes, crazy items, special events, and so on is very easy, and we’re hoping to hit the ground running. As for larger features, we’re big fans of social systems like guilds to really let friends play together in a way that they currently can only do in MMOs. Furthermore, we’ve talked about and prototyped a variety of different game modes beyond the current battle royale. Spellbreak’s theme and gameplay naturally lend themselves to all sorts of expansions on gameplay like different types of PvP conflicts or more co-operative modes and it’d be a shame not to explore things like that. Development on Spellbreak is still in its early phases with several playtests coming up. Tell us how players can get on board. Also, for any content creators out there, they can sign up here: https://playspellbreak.com/creators to be kept up to date with our plans for partner programs. Where are all the places people can go to keep up with Proletariat and Spellbreak?